The horse and his rider, athletes? Is my horse an athlete? Am I an athlete? Even if you feel like you’re going to die when you run 3 minutes, you don’t chain 10 pushups and squats go over your head, you can keep reading. When you see mermaid at first glance it is not said that it is ready for the Prix Saint Georges (or after). But it’s still an athlete (who ignores herself) at the bottom of the meadow full of mud. Already the fact of being able to sleep standing for me is a feat. What to recall is normal for horses. Anatomically already they are designed for racing being prey and not predators. With a huge heart that measures about 26cm in diameter. The frequency is normally very low and little climb very high during a significant effort. Muscle side they have 469. Even if not all are used to make the horse move, it’s still a lot. So no they are not all great athletes who roam the world under the saddle of our idols (or jockeys it also works for racing horses). But they’re all a bit of athletes. If only to wear a rider on his back. But who does not ignore the aches after a session of getting in the saddle! The aches and pains that means that the muscles we worked no? Nobody says “Oh la La yesterday I made a Quidditch pong, I have aches everywhere” (no it probably has a hangover but it’s another story). Riding is certainly not a very cardio sport on our mundane sessions. Even though some of them are really sweating. Horseback riding makes the back work, especially in relation to the seat we have in the saddle. Arms, especially when you have one who wants to graze every four seconds. Joke aside it makes the abdominals work, the big and middle buttocks etc… And since I’m not a specialist I put you a nice link: the muscles of the riders. Now that we’re athletes, how can we be a happy athlete? A happy athlete is an athlete who does not hurt. Whether it is rider or horse, when you have pain you do not want and especially there are movements that you can not do. Have you ever wondered why your horse couldn’t do an exercise? It may be a problem that needs to be resolved with an osteopath, or a dentist, or even the podiatrist. It may be that the exercise is not suitable for the horse, or that you do not ask for it properly. But it can also be that he does not have the muscles for! You ask me the very following to make you tractions I am not even sure to make one, but with a suitable training I would do it later. 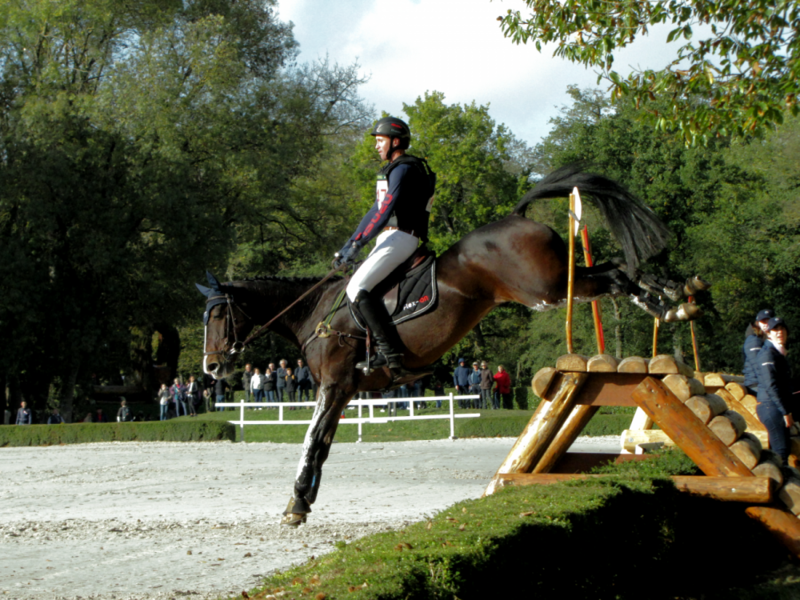 When you go up properly, you should have a uniform result on your horse’s musculature. When it has no worries is understood. How many times we see messages like: How to muscle neck, rump etc etc. Isn’t there a problem? A happy athlete is an athlete who varies the exercises. Because even Usain bolt is diversifying (Usain Bolt starts playing soccer). To be muscular evenly it is necessary to vary the exercises. A champion of CSO he doesn’t jump bars every day. If you want exercises you have the Pinterest of Chevaletmoi. And it’s not bad for morale too. To be an athlete not necessarily happy but at least accomplished, you have to know what to set goals. What is more satisfying than passing steps, crossing goals? 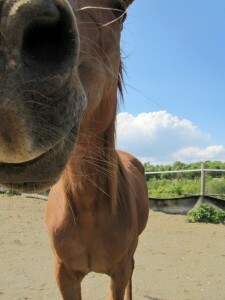 Even if your horse does not care about your goals, to reach them you will have to think about its well being. And its well being goes through good living conditions. A suitable nutrition (yes, one day I would write the article promised a long time ago). Suitable accommodation (which includes freedom of movement, comfort for rest, and thermal comfort). Possibility of expressing behaviors related to its species. So we’re thinking of doing regular checkups with the dentist, the osteopath and the vet. (An article should happen on dentistry, one also happens on osteopathy, or not, finally maybe). We learn about the feet of his horse (whether it is railroad or not, I have already written an article). And we make an adapted ration, and since it’s super complicated to take everything into account we go through a pro! If you want to know more about nutrition I leave you the address of a blog that I hope you already know. Hard to finish this article without repeating a sentence that you have already seen in this blog, even if a little adapted. To train a happy athlete couple, listen to yourself, respect yourself and take care of yourself.